I received an assortment of mouth watering desserts from The CheeZery Bakery and they were amazing. 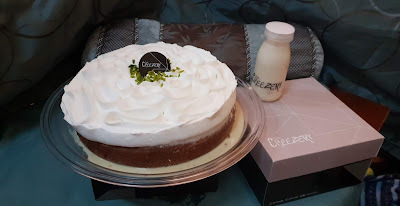 We started off with the Pistachio Tres Leches dessert accompanied by a bottle of milk. 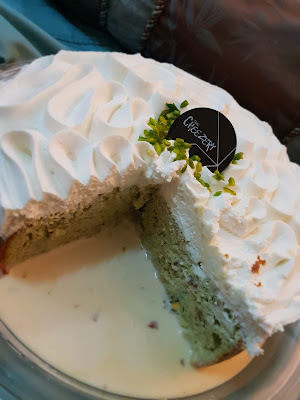 The cake was moist and loaded with pistachios, there are different varieties of the Tres Leches cake as well. 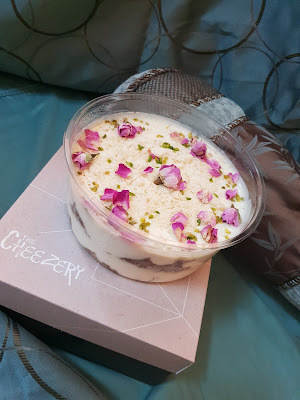 We moved on the their CheeZery Jar desserts which included a saffron panacota, brownie with pretzels, tiramisu, Lotus and a few more. They're good when you want a smaller size dessert and you can put the top on and save the rest for later. I'm addicted to saffron so I was glad they sent me something saffron related. 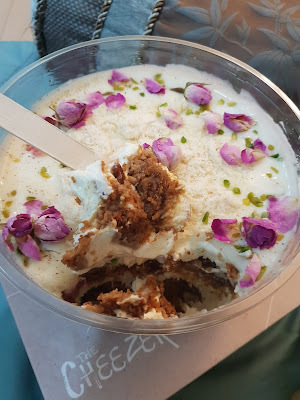 The last dessert was a Ramadan date trifle made with a cream cheese frosting. I liked the date flavor as I don't see many desserts made with dates that are good but this one was amazing. 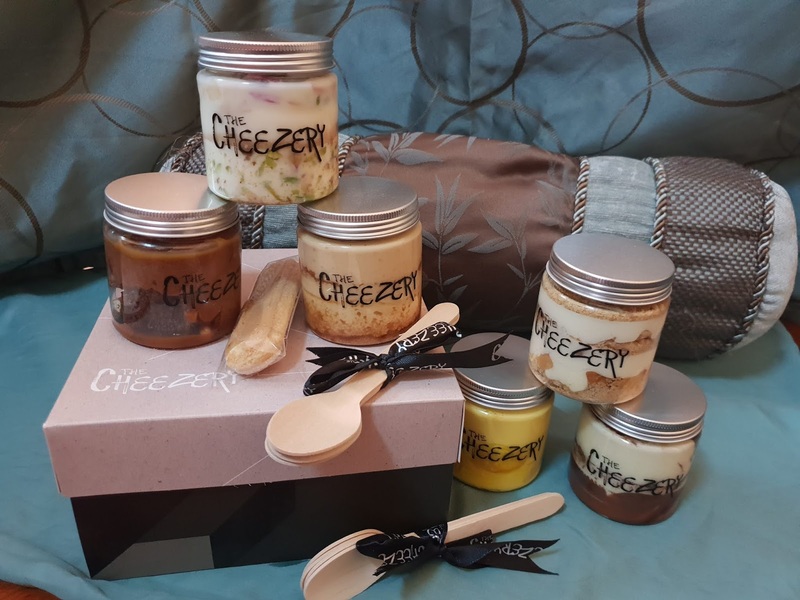 You can find them on most of the ordering apps such as Talabat or you can visit their IG @thecheezery, they are located in Al Ghawali Tower in Kuwait City and can be reached at 97779486. 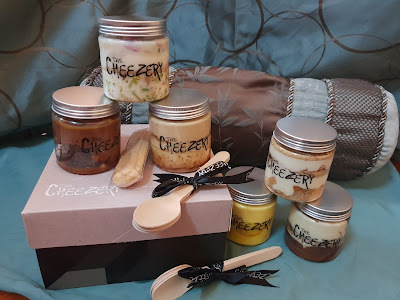 A special thanks to The CheeZery ! After three years in Kuwait, we're leaving in a few days... and I only just discovered your very fine blog! 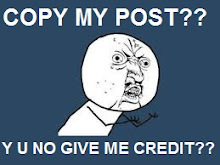 Lots of hard work and helpful pointers. Congratulations, but at least now I can follow you to see what's happening.